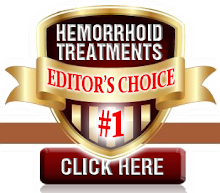 Treatments for hemorrhoids that have worked for you. Experiences with procedures and surgery. Any personal stories you may want to share with others. We would like to thank you in advance for being kind enough to offer information that may help others find hemorrhoid relief & treatment. For Questions please send an email to hemorrhoidstreatmentinfo@gmail.com. At our own discretion, any information you send to us may or may not be published on our website. You understand that any information you send to us may appear on our website for others to see. You give us exclusive rights to the content you send.